PRESIDENT Rodrigo Duterte's campaign spokersperson Peter Tiu Laviña has been appointed head of the National Irrigation Administration and has vowed to fulfill the president's campaign promise to provide free irrigation to farmers under his term. 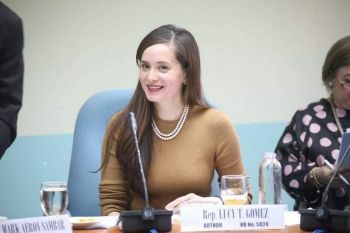 Laviña, who served as campaign spokesperson of Duterte was appointed on November 14, according to a post by Department of Agriculture Secretary Emmanuel Piñol, Tuesday. “I have a new mission, to help fulfill one of the election campaign promises of our President on free irrigation for farmers,” Laviña said in his post a few hours after Piñol's post. The agriculture chief said it was Special Executive Assistant to the president Secretary Christopher "Bong" Go who informed him of Laviñas appointment along with Maguindanao Engineer Czar Sulaik as NIA's deputy administrator for operations. In a post approximately four hours from Piñol's post, Laviña posted four of his priorities as head of the irrigation office. Meanwhile, Piñol said Laviña’s appointment as the new NIA head is a “welcome relief for the DA" as this could provide "a smoother coordination" between the DA and the water agency. He said Laviña can help in scheduling the release of irrigation water for the rice farms which has been "a problematic issue for so long." “Laviña, whose wife Evelyn is undersecretary of the DA, brings with him a public service record un-tainted by corruption,” Piñol said. Before Laviña’s presidential campaign spokesperson stint, he first served as a young special assistant to then Davao City mayor Rodrigo Duterte before he was elected councilor of the City of Davao. Sulaik, who was the provincial irrigation officer of North Cotabato, where Piñol also served as governor before, is a Maguindanao-Ilocano mixed blood from Cotabato City. Sulaik was first nominated by the agriculture secretary for the top NIA post but agreed to settle for the position of deputy administrator for operations. Piñol said granting free irrigation to small rice farmers will be the most outstanding accomplishment of the Duterte administration. The free irrigation will start next year at the first planting season. Congress favored the President’s idea that an allocation of P4 billion will be included in the NIA budget for 2017 to cover the Irrigation Service Fees (ISF) collections.